Yesterday, on the TV show “The Doctors,” they included a segment on scoliosis. At first I was thrilled that a major show was finally covering scoli, but when I realized how they were covering it, the rage began to set in. By the end of the piece, I literally felt nauseous and thought I might have to run to the bathroom to throw-up. Seriously. Interestingly, if you watch closely, you’ll see that this young woman’s lumbar curve progressed 20-30 degrees from the time they taped the first segment to the time the surgery takes place. See how the doctor talks about her X-rays in each segment? This is not a natural progression of scoliosis for a person her age. I’d wager it happened because she was doing nothing to manage her scoli. I’m saddened, and quite frankly disgusted, with how this show covered scoliosis in this beautiful young woman’s case. I have scoliosis, am a former Radio City Rockette, am a Pilates instructor, and am author who has devoted my career to helping those with scoliosis. There are always non-surgical solutions to improve the lives of those with scoliosis. This woman complains of pain. I guarantee that she will still have pain after the surgery, both physical and emotional. Surgery doesn’t take the scoliosis out of her, emotionally or physically. I can’t believe that the only hope this show offered people with scoliosis was in essence a Home Depot tool commercial – you physically showed her body being sawed apart and drilled into. I pray you will be more mindful of showing other ways to deal with scoliosis in the future, besides just surgery, because there are many. I invite you to take a deep dive into the articles on movement and scoliosis contained on the Spiral Spine website. 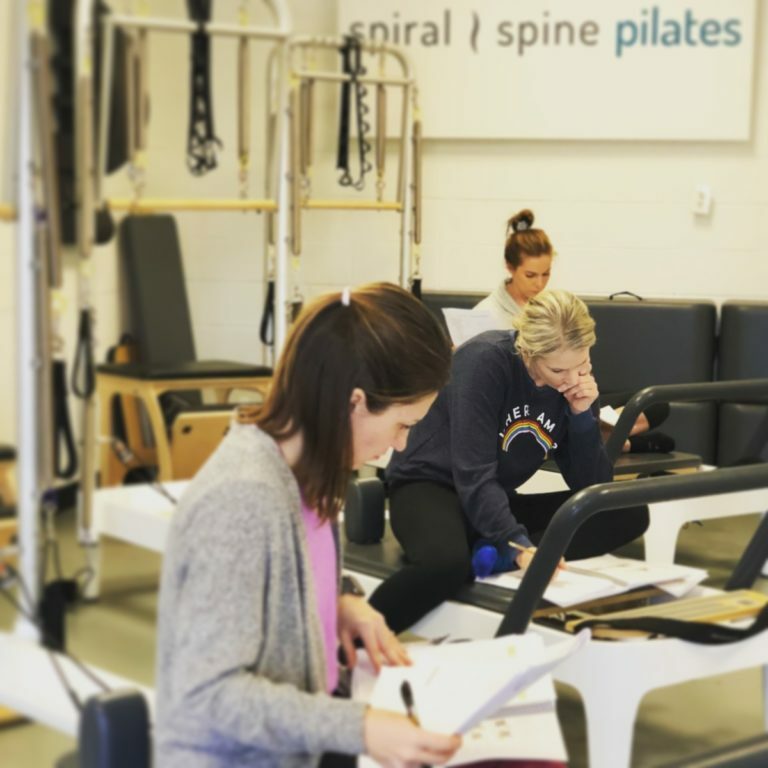 Read first-hand accounts from others with scoliosis, and learn how they’re managing their scoliosis with movement, structural integration, Pilates, Schroth, and more. Hear from those who’ve undergone spinal fusion surgeries, and learn about their experiences, both before and after. Educate yourself with products designed to give you the knowledge you need to take the best care of your body. If you’ve already had spinal surgery, please know you still need to take care of your body. The surgery doesn’t “cure” you of scoli. You still have to keep your body strong and mobile, but you must train wisely. While you can clearly see where I stand on fusions, I nevertheless have many clients that come to me post-fusion surgery because they are in pain, something they thought surgery would fix, but didn’t. Surgeries often beget other surgeries because the patient isn’t told they must still move their body wisely. I love on these fusion clients, and I teach them to love their own bodies while showing them that movement heals. My 11 year old daughter was told she has mild scoliosis by her pediatrician about a year ago. The pediatrician saw the horrified look in my eyes when she said that and assured me me it was “nothing, we’ll justkeep our eyes on it.” Well, just yesterday, at my daughter’s 12 year old check up, I asked her pediatrician to give her spine another look because I have been noticing her walking and running funny, not normal. (Since she was first told she had mild scoliosis, I’ve been making sure to remind my daughter to maintain her posture at all times per doctors orders.) After the pediatrician had her bend forward she did notice more curvature than last time and said that it was likely that thos occured due to a growth spurt over the last year (from 20% last year to 60% this year on the growth chart for kids her age) and that’s why the dr. never really noticed how bad it was. She finally ordered xrays for my daughter to check for scoliosis. I saw the screen after the took the xrays and noticed a decidedly prominent curve especially in the lower spine region. My question is, what can I have my daughter do at home to prevent more curve progression and pain? Thank you. And the next link I am posting is for a study that supports that schroth physiotherapy improves spinal curvature https://www.ncbi.nlm.nih.gov/pmc/articles/PMC3847831/ it’s a peer reviewed study and it’s from a reliable source. Overall just do your research scoliosis care centers specializes in nonsurgical scoliosis treatment so there are many more articles on there an alternative treatment forms.